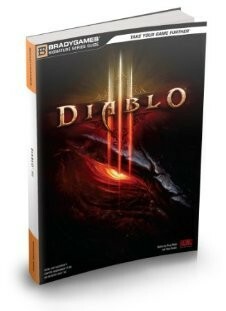 With the release of Diablo III on the Xbox 360 and PlayStation 3, a new Brady Games guide is also available. 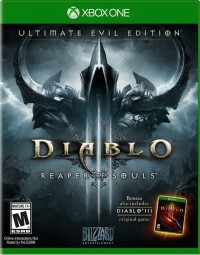 It provides details on the console versions of Diablo III, which does have some significant differences from the current PC version in areas like Monster Power and itemization. 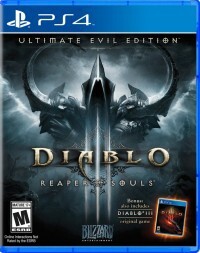 There are two versions of the game guide, both available at a big discount at Amazon.com: the paperback Diablo III Signature Series Strategy Guide Console Version and the hardcover Diablo III Limited Edition Strategy Guide Console Version. 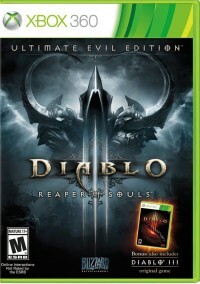 In just a few short days, evil will be reborn on the PlayStation 3 and Xbox 360. To help prepare Nephalem around the world against the coming invasion, Brady Games is pleased to unveil the official Diablo III Strategy Guide for Console, available in both Signature Series and Limited Edition formats. 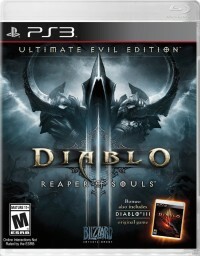 For warriors who have already survived the armies of the Burning Hells on PC to those who are new to the world of Sanctuary, this companion book is the key to unlocking the secrets of Diablo III with a hand-held controller. Quest Guide - All four Acts, every Quest, 3D Town Maps, and exclusive Dungeon Tile Tactics. Heroes - Get the most out of all 5 classes. A complete rundown of all active and passive skills for each Hero. Bestiary - All creatures in the game, including critical stats and detailed descriptions. Crafting - A complete overview of the Diablo III crafting system. Loot - A comprehensive listing of weapons, armor, and accessories. Includes Legendary items! Endgame Quests & Bonuses - Detailed information about the new endgame features such as Nephalem Valor, Paragon Levels, and more! Sculptured Metal Bookmark - Be one of the few to own this gorgeous bookmark featuring a multi-level relief of the terrifying Lord of Terror. Exclusive Art Section - This incredible art section features the armor sets of Diablo III from concept to execution. Excerpt From The Book of Tyrael - Exclusive excerpt from the eagerly anticipated Diablo III: Book of Tyrael. Read it here first! Premium Hard Cover - All the game-tested strategies of our Signature Series packaged in a hardcover featuring unique art and a premium finish. Discover all the techniques and tips you'll need to survive Sanctuary on the PS3 and Xbox 360. Pick up your Signature Series or Limited Edition copy of the Diablo III Strategy Guide for Console today from Brady Games, Amazon, or Barnes & Noble!